DIGISOL which is a major provider of Networking products has introduced a new wireless router, DG-BR411QAC, in the Indian market today. The device provides transmission speed of up to 1,200 Mbps and works on both 2.4 GHz and 5GHz bands. The device uses intelligent antenna technology in order to transmit multiple streams of data. This enables the user to receive wireless signals at a faster rate. DIGISOL DG-BR5411QAC supports wireless 802.11b/g/n and there are security protocols like WEP, WPA and WPA2 embedded. The company claims that the router is good to use in both homes and small offices, the bandwidth of the router provides considerable amount of range in a large area. This allows more devices to connect to the network at the same time. The device features QoS(Quality of Service) prioritisation technology, too. And so, DIGISOL router analyses and separates multiple data streams based on sensitivity to delay, enabling multiple applications to stream smoothly across the network. Easy installation is one of its major features. The DIGISOL router quickly configures new wireless connection. There is a step by step installation process for configuring internet connection, wireless network settings and security. 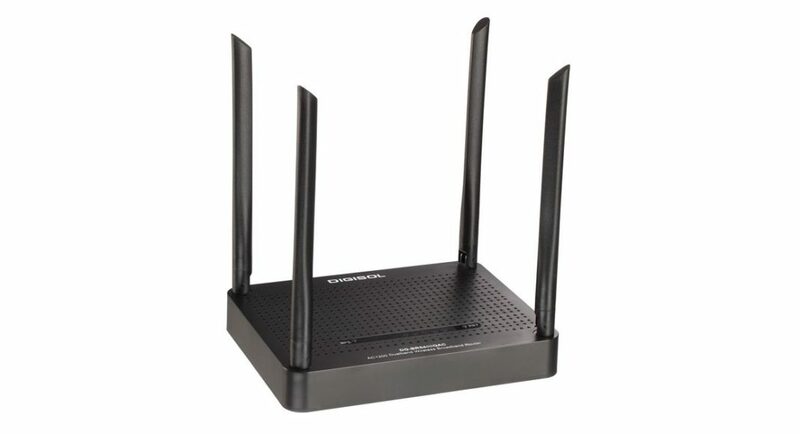 Moreover, the router supports WiFi Protected Setup (WPS) that simplifies wireless client setup procedures. In order for users to setup a secured wireless network they just need to press the push button once. The DIGISOL DG-BR5411QACC router also supports extra security protocols with the help of WPA2-PSK with AES. This enhances the wireless network security, which protects important data from hackers. Over that, this router supports 64/128 bit WEP encryption that offers good level of security choice to home users to provide confidentiality of the wireless network. The device costs Rs 3,999 in India and will be available at all leading retail outlets and online stores.